Today leading Cloud GIS solution provider, GIS Cloud has come up with a one-click solution to publish maps to the cloud. 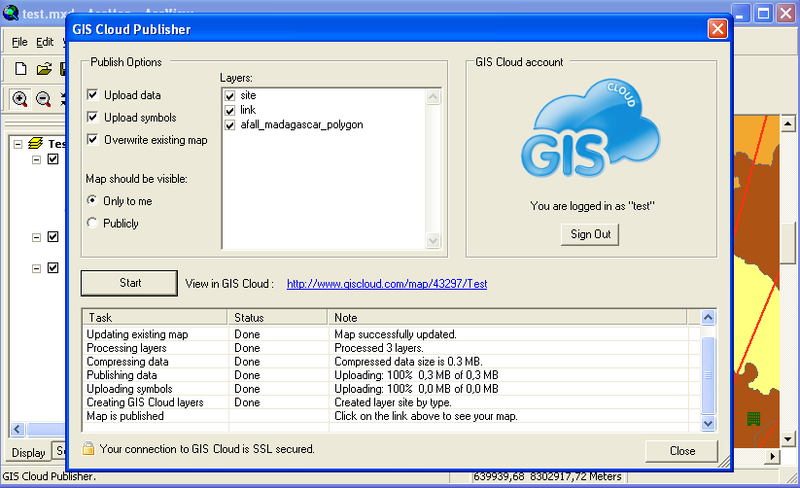 This solution GIS Cloud Publisher for ArcMap. Another good news is the extension is free to download and use. As rightly noted by GIS Cloud, publishing maps from desktop has never been so easy - one had to hunt for appropriate map server technologies, upload contents separately, maintain and optimize them for different platforms. So ArcMap users you have two choices now - Esri's own ArcGIS Online and GIS Cloud. Choice brings more competition and hence more features. Download GIS Cloud Publisher for ArcMap [No registration required]. It's just 600 kb in size.